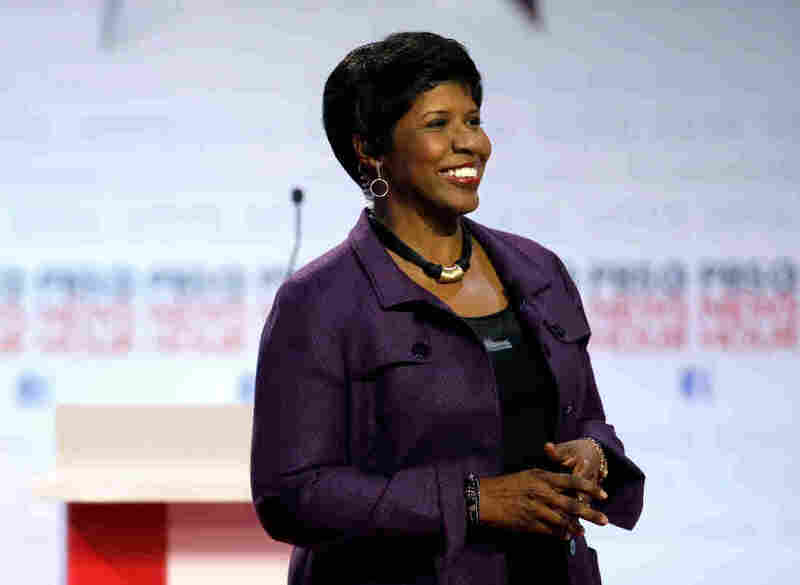 Gwen Ifill, Host Of 'Washington Week' And 'PBS NewsHour,' Dies : The Two-Way Ifill was a veteran Washington journalist who covered seven presidential campaigns and moderated the vice presidential debates in 2004 and 2008. 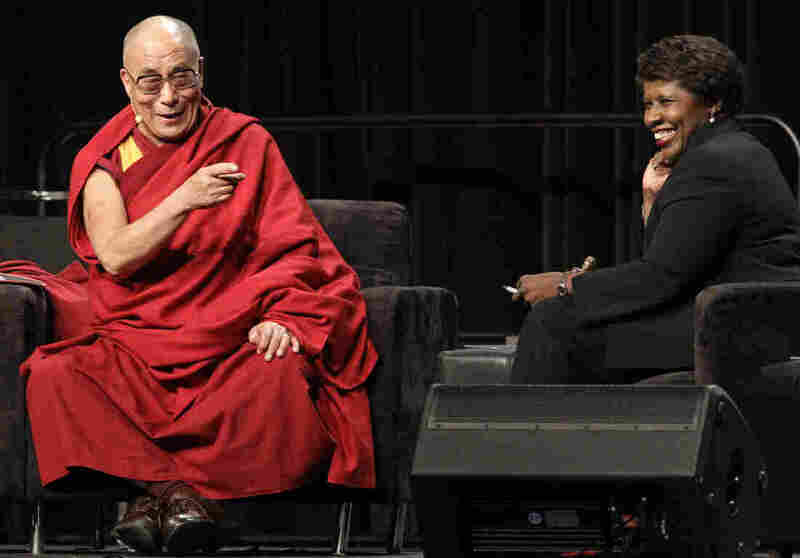 Gwen Ifill takes the stage before moderating a Democratic presidential primary debate at the University of Wisconsin, Milwaukee in February. When she took the helm of Washington Week in Review in 1999, Ifill became the first African-American woman to host a major political TV talk show. Ifill covered seven presidential campaigns and moderated the vice presidential debates in 2004 and 2008. More recently, she moderated a presidential primary debate between Hillary Clinton and Bernie Sanders. Ifill was also the best-selling author of The Breakthrough: Politics and Race in the Age of Obama. In 2013, Ifill was named co-host of the PBS NewsHour. In an interview with The New York Times, she reflected on what her appointment could mean to a new generation. "When I was a little girl watching programs like this — because that's the kind of nerdy family we were — I would look up and not see anyone who looked like me in any way. No women. No people of color," she said. "I'm very keen about the fact that a little girl now, watching the news, when they see me and Judy [Woodruff] sitting side by side, it will occur to them that that's perfectly normal — that it won't seem like any big breakthrough at all." Paula Kerger, president and CEO of PBS, said Ifill was "a fundamental reason public media is considered a trusted window on the world." "Her contributions to thoughtful reporting and civic discourse simply cannot be overstated," Kerger said. "She often said that her job was to bring light rather than heat to issues of importance to our society. Gwen did this with grace and steadfast commitment to excellence." In a news conference, President Obama said he appreciated Ifill's reporting even when she posed tough questions to him. "She always kept faith with the fundamental responsibility of her profession, asking tough questions, holding people in power accountable and defending a strong and free press that makes our democracy work," Obama said. Journalist Ray Suarez, who began working at NewsHour on the same day as Ifill in 1999, told Here & Now that Ifill was a mix of things. "She was evenhanded yet tenacious," Suarez said. "She was exteriorly cool, if that's even a word, but at the same time very emotionally and passionately committed to the work she did." Ifill was a preacher's daughter. She was born in New York City to a Panamanian immigrant father and a Barbadian mother. She started her journalism career as a print reporter for the Baltimore Evening Sun and the Boston Herald American. She went on to become a national political reporter for The Washington Post and the White House correspondent for The New York Times. Ifill died after a battle with cancer. NPR's Neda Ulaby contributed to this report.